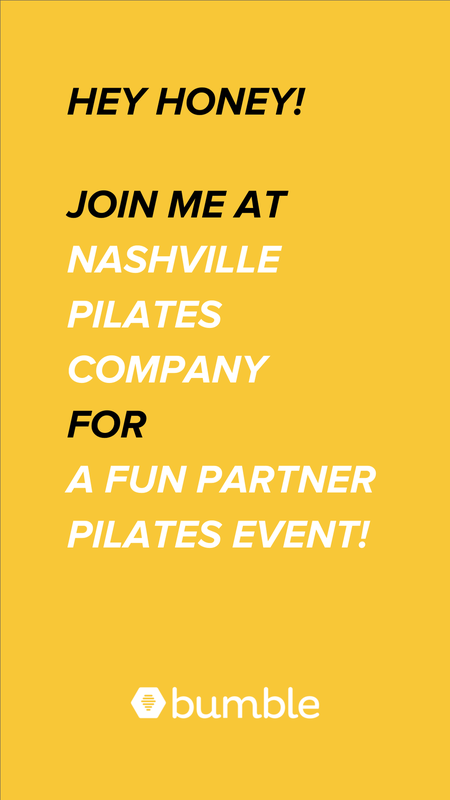 Lindsay Ogle, Nashville Pilates Company, and Bumble are partnering for a fun Saturday afternoon event! Meet new people in town, enjoy a free Pilates workout, take home some Bumble swag, and mingle over cocktails afterward at Hemingway's Bar and Hideaway. If you've ever wanted to give Pilates a try, come enjoy an afternoon at our boutique space and potentially meet someone new!